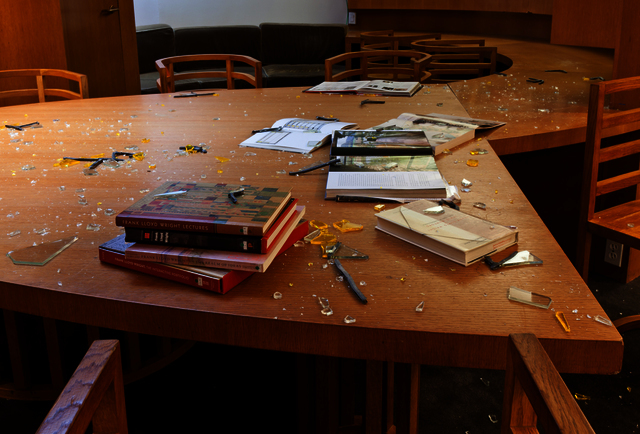 For ‘Intervals’ Gander created a new, site-specific, installation for the museum, in which visitors encounter a scene of apparent catastrophe relating to Gander’s ongoing exploration of the schism between the Dutch artists Piet Mondrian and Theo van Doesburg. 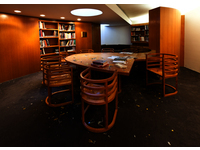 These friends and creative collaborators severed their relationship in 1924 due to Van Doesburg’s belief in the diagonal line as a valid element in abstract art, which conflicted with Mondrian’s insistence on a reductive visual language consisting of only gridded horizontals and verticals. 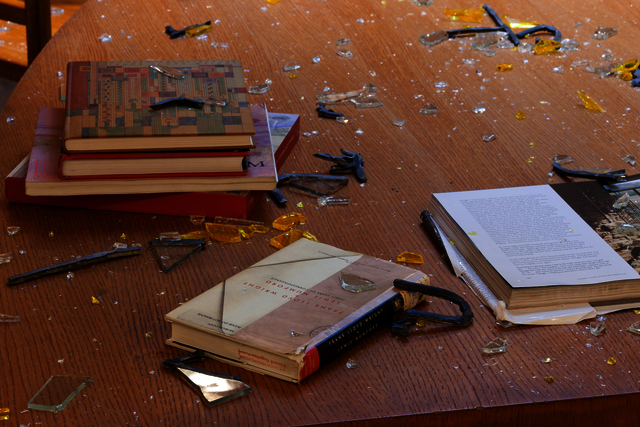 Gander imagines this artistic dogmatism provoking a violent struggle between the two men that sends them crashing through a stained-glass window in the home of Frank Lloyd Wright, the architect of the Guggenheim Museum. 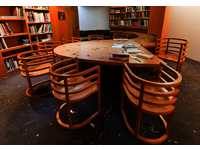 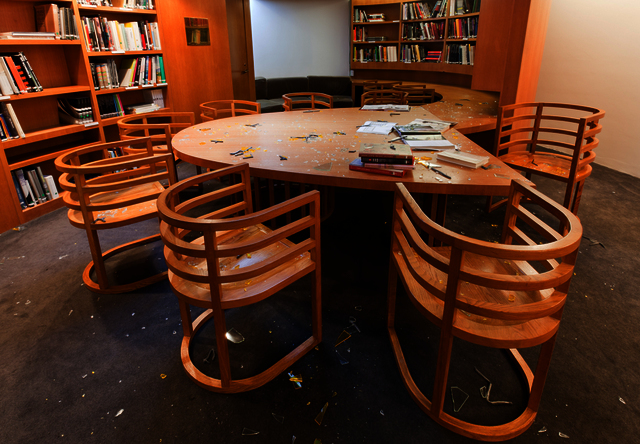 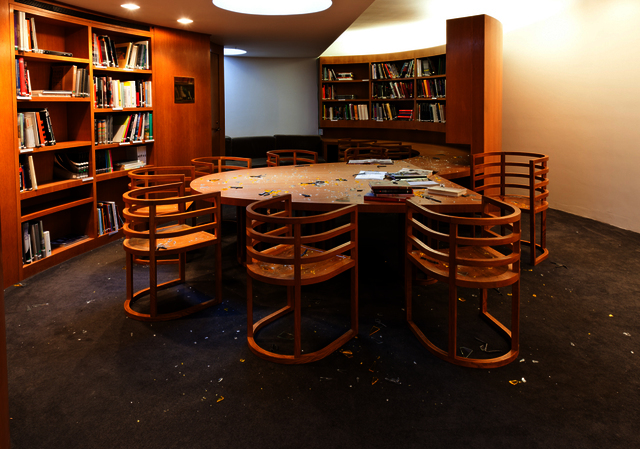 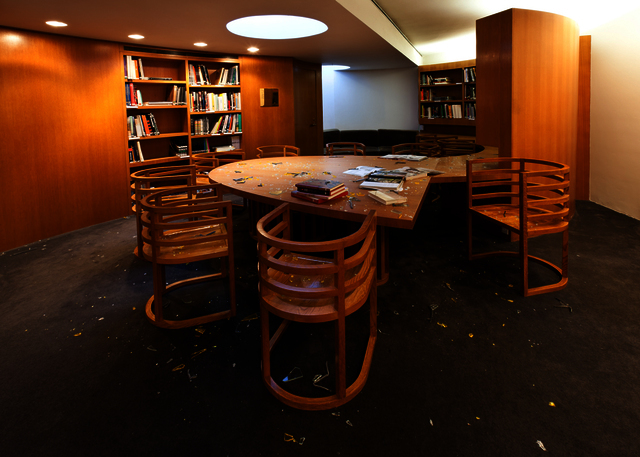 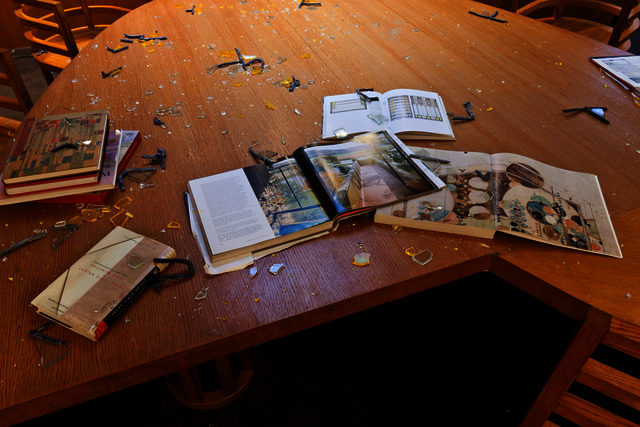 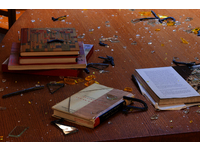 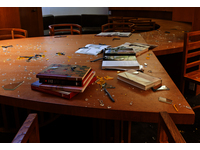 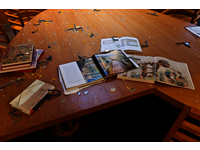 In a mysterious temporal and spatial discontinuity, the debris from this accident appears to have landed in the Guggenheim’s reading room, showering fragments of glass and lead over the books about Wright’s life and work that are available in the space. 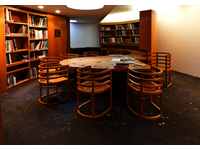 Accompanying this relic from the annals of art history is an artifact that has been transported to the museum from the future: a “quarter centi-dollar” representing the inflated worth of a contemporary quarter to $25 by the year 2032, that has been glued to the floor in reference to a classic practical joke.